Gold Claddagh necklace is a necklet style design. 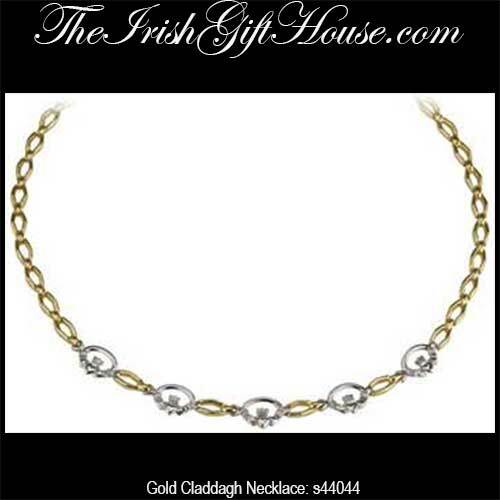 This 14K yellow gold necklace features five white gold Claddagh links. The Claddagh necklet measures 16 1/2" long.